H Street clothing shop George’s Place, Ltd. will soon be replaced after 43 years of business. 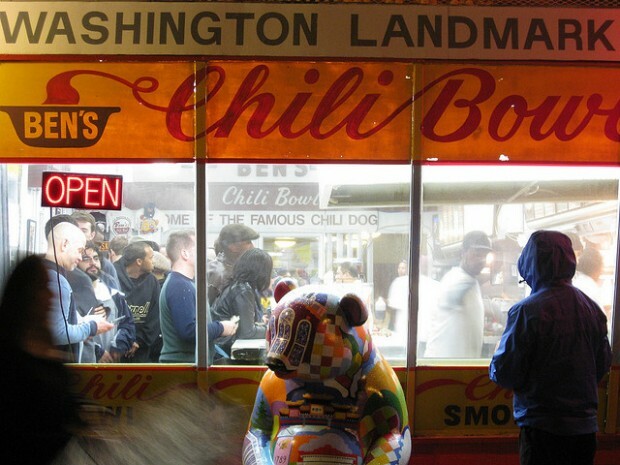 Nizam and Kamal Ali of Ben’s Chili Bowl reportedly bought the property at 10th and H Streets, NE for $900,000. The Alis aren’t set on opening another Ben’s, though; they’re conducting market research to see “what concept might best fit the neighborhood,” Washington City Paper reports. Back in September, we profiled George’s Place owner George Butler as he was readying to sell his property after decades on H Street. He reflected upon his time on the now gentrifying corridor, and he said he felt there was little impetus to keep longtime, black-owned businesses afloat. Ben’s is a rarity in D.C.; it’s been on U Street since before the 1968 riots, and has not only survived but thrived as that corridor experienced revitalization. Ben’s has expanded its half-smoke empire in recent years with the opening of a location at Nationals Park and Ben’s Next Door on U Street. The Alis have strong roots in the District; so if they’re the ones to buy up a longtime H Street shop to open a restaurant, should it be called gentrification? If not, then what is it?